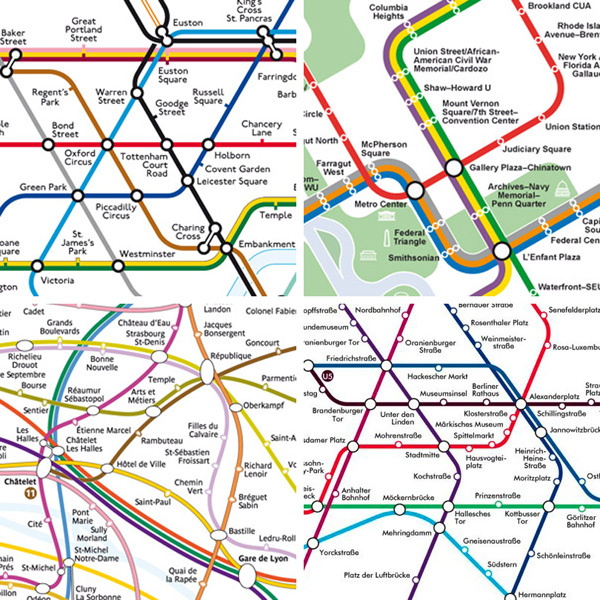 The more transit maps are delved into, the more fascinating they become. Design, history and politics combine in endlessly fascinating ways. To enquire about a booking, contact me by email. 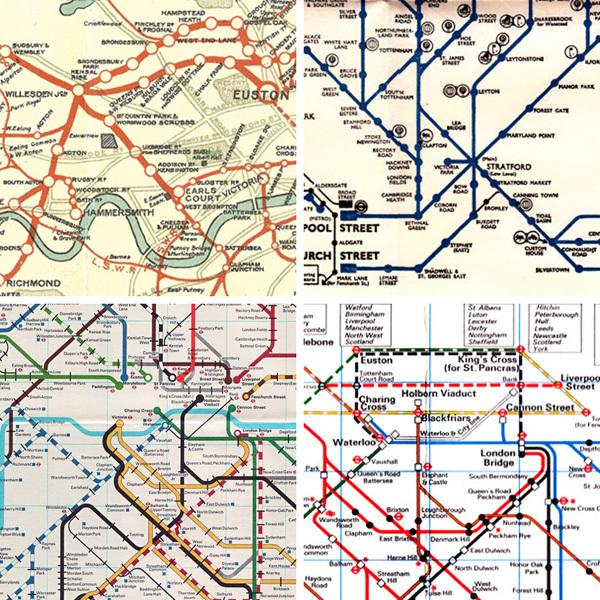 of the evolution of the London Underground network diagram, leading up Henry Beck’s groundbreaking work, followed by the major landmarks during his tenure and ending with his controversial ‘sacking’. Wishful thinking and decades of decline? 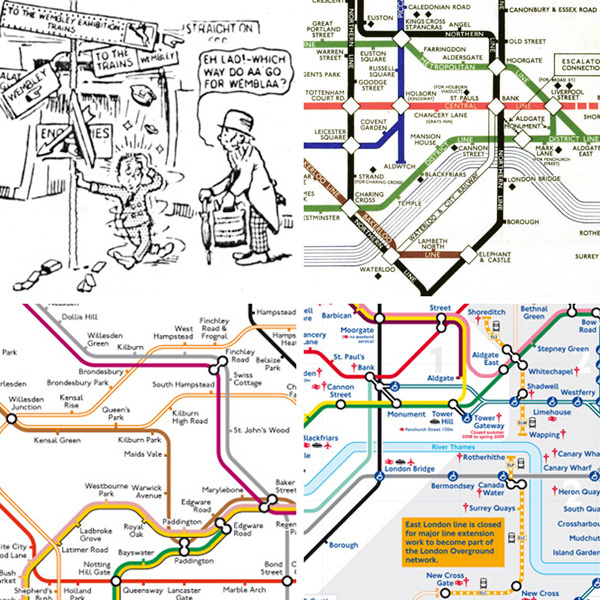 In the 1970s, Underground map design shifted from amateurs to professional cartographers and graphic designers, and from hand-drawn artwork to computer technology. Characterised by political interference, and periods of stability then sudden transitions, the fortunes of the Underground Map are distinctly mixed. There has been a gradual erosion of design standards despite (or perhaps because of) new technology. This presentation begins with the worst Underground map ever designed, and ends with the challenges presented by the need for a genuinely integrated map of all London’s railways. others have modified or reworked this for themselves. the tools to meet it. Designs can be entertaining, reveal different traditions in different countries, and real gems occasionally surface. Relentlessly pursued as copyright violations by London Transport, and with little or no archiving, their history is a challenge to research. 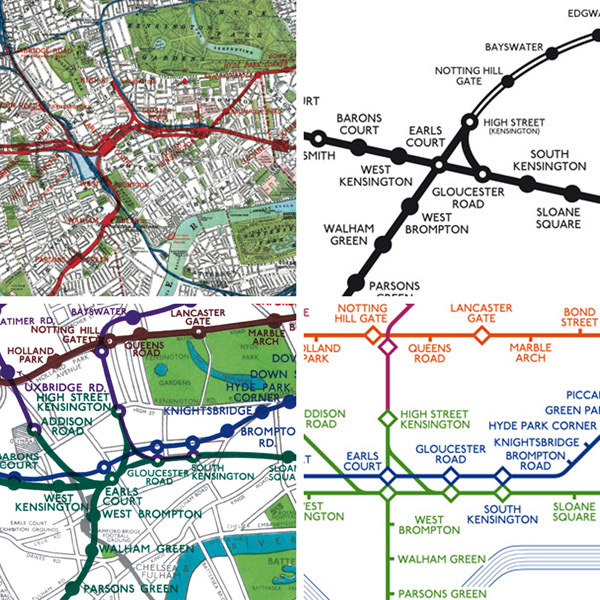 The London Underground network forms around one-third of the railways in the capital, and is entirely or virtually absent from many boroughs. 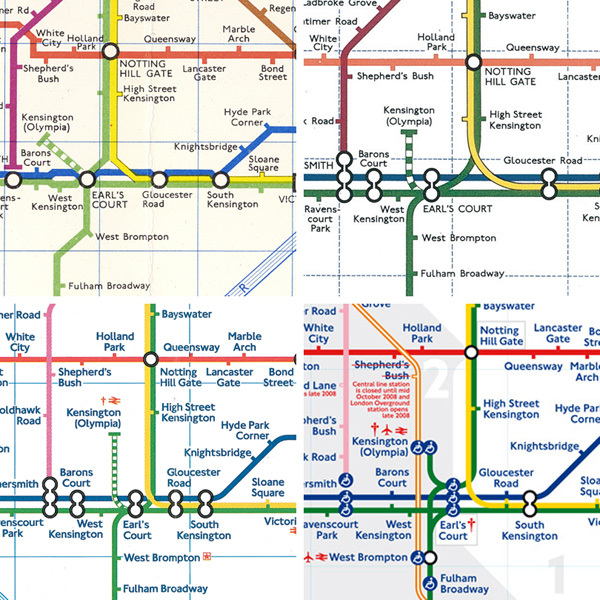 Nonetheless, all of London is well-served by rail, and there is a long history of colourful diverse maps of rival systems. 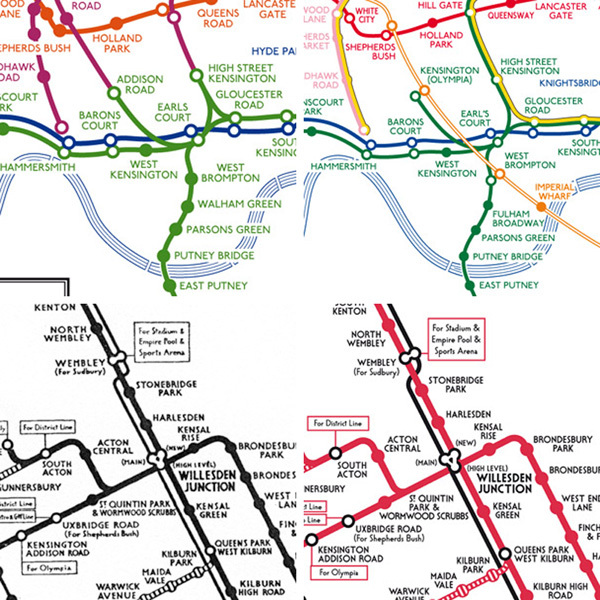 Today, with a fragmented privatised network, the ultimate goal of a good combined map of London’s railways evades us more than ever, but there have been numerous attempts in the past, and with continuing fares integration, this is set to occupy designers well into the future. The New York Subway is one of the world’s great urban rail networks; massive and fiendishly complex, with a long and eventful history. It’s maps reflect this, and to this day, the debate about how best to show the network remains unresolved. Should the map be geographical? How should a schematic be structured? Is a meaningful design even possible? 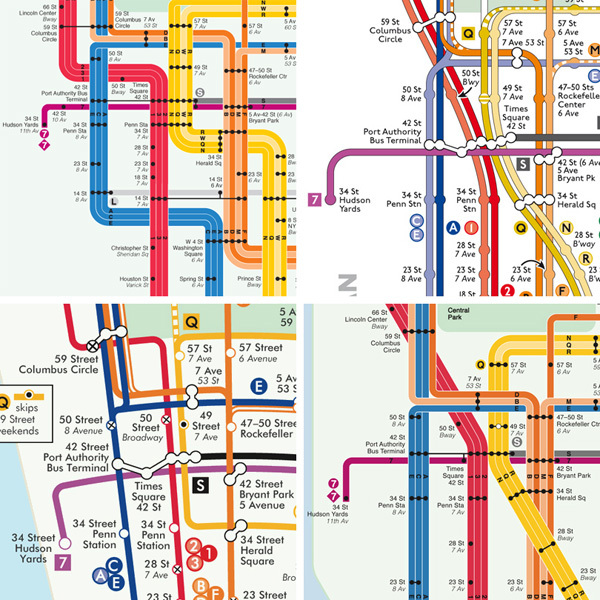 This talk will present the history of the New York Subway map along with the underlying debates, events and politics that have shaped the designs that we see today, and also some of the interesting unofficial versions. I will also discuss my own creations, and the surprising responses that they have generated. Paris is the most visited city in the world, and its dense convoluted network of metro and regional lines challenges every designer. Official maps have explored more layout techniques than any other city. For compilers of tourist guides who prefer to use an unofficial version, alternative maps range from the unusable to the intriguing to the downright weird. 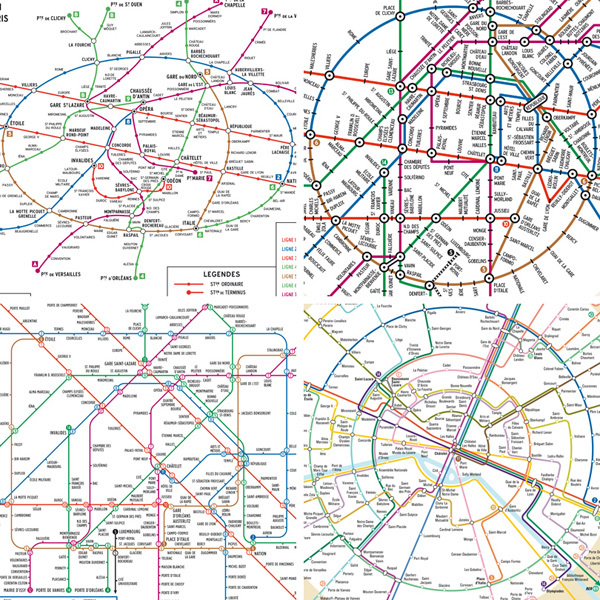 More Paris Metro maps have been created than for all the other rail transit networks around the world put together, and yet good solutions remain elusive. What is it about this network that makes it so difficult to map, often bringing out the worst in information design, and what have been the high points and low points in depicting it? 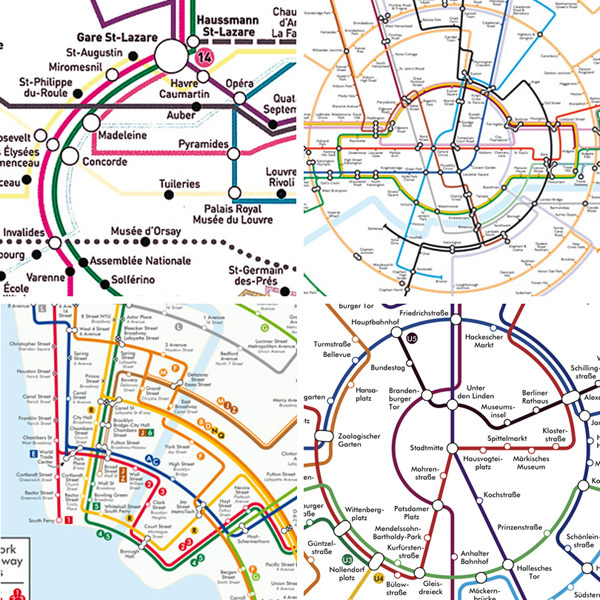 As urban rail networks worldwide grow and develop, so the challenge for designers to create attractive usable maps increases. What are the hallmarks of a well-designed map versus a poor one? Are Henry Beck’s rules (horizontal and vertical lines and 45 degree diagonals) really the best pathway to design excellence? What other principles shound guide the designer, and what happens if we break the rules? There will be many surprises along the way: the quality of design matters more than the rules, and different rules suit different networks. I completed my first concentric circles map, of the London Underground, early in 2013 as a cartographic joke. I was astonished by the positive response that this received, with similar enthusiasm generated for New York, Paris, and Berlin versions. Looking back, these maps tell us a lot about effective design, especially that elusive most and subtle of design goals, coherence. Concentric circles maps can force networks into unprecedented organisation, revealing the structure of the system and how the elements relate to each other, but recent usability tests suggest that caution is needed before embracing them. Information provision or information pollution? Henry Beck’s original design was breathtaking in its simplicity but, ever since it was first published, well-intentioned people have tried to make it even better. Whether the attempt has been to give geographical journey hints, or show service patterns or accessibility, the results have been decidedly mixed in their usefulness, at an extreme deluging the user with information pollution. 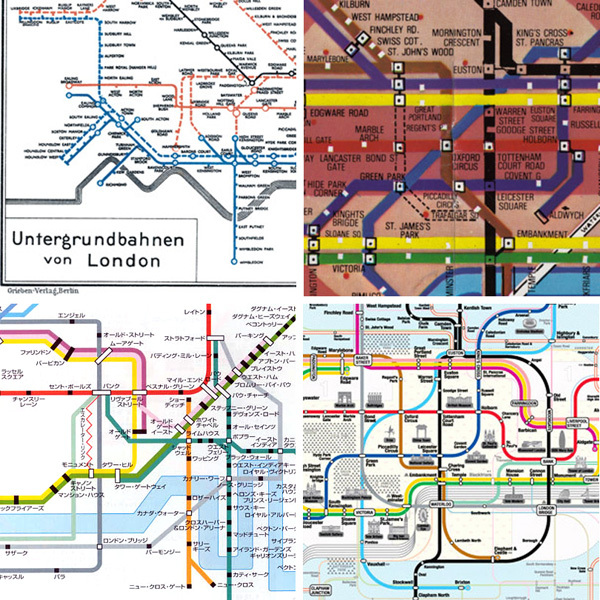 This presentation traces the history of supplementary information on the Underground map, and shows why good solutions are almost impossible to attain. Digitising design: Recreating or reinventing history? Some maps fall by the wayside. Promising approaches are abandoned before being refined, interesting drawings never make it into production or, worst of all, all known printed copies are lost. With some educated guesses, we can try to recreate lost designs, and implement might-have beens that could have existed if circumstances had been different. Modern printing shows these works so well that existing historic maps pale by comparison, and need their own re-invigoration in order to stand up to them. What are the benefits and pitfalls of digitising history? Can we appreciate the intentions of the designers in enhanced glory, or are we embarking on hopelessly anachronistic wild goose chases?